When you call (215) 822-1888, ask for Pat McMenamin. 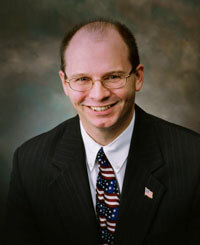 Pat is admitted to the Pennsylvania Bar and has practiced law since 1990. Pat attended LaSalle College High School, in Springfield Township, Montgomery County, Washington College, In Chestertown, Maryland, and the Widener University School of Law, in Wilmington, Delaware. Pat has substantial courtroom and litigation experience serving previously as an Assistant District Attorney in Montgomery County, Pennsylvania, and as a medical malpractice lawyer in the early 1990's. Pat has practiced Divorce and Family Law since 1993, in Bucks, Montgomery and Lehigh Counties. He has experience in all aspects of Family Law, and he also has a significant Criminal Defense and Litigation Law practice. Pat understands the value of community and community service. He is a member of the North Penn Rotary Club, Boy Scouts of America and he serves as a child advocate for the Montgomery Child Advocacy Project. For more information email, call or log on to www.buxmontlaw.com. The breakup of a marriage or relationship is traumatic enough. You need an experienced lawyer to help you through this difficult time. You also need someone who will listen to you, not argue with you or guide you down the wrong path. Call Pat McMenamin for a free and confidential consultation.